Beneath the ice of Antarctica there is a continent of mountain ranges, deep valleys, plains, and inland seas, for the most part invisible but for a few features that stick out above the ice. 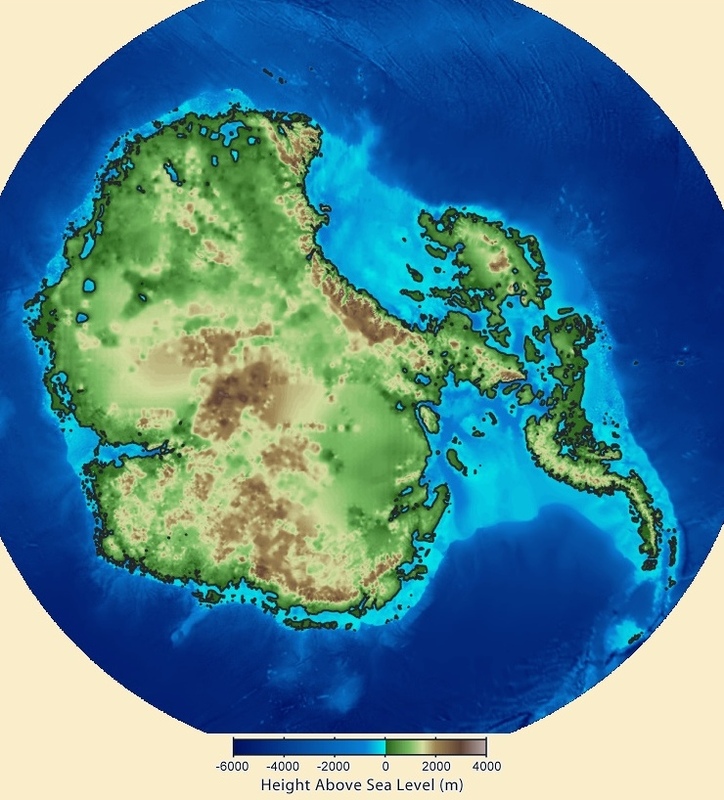 The map shown above shows Antarctica without its ice sheet. 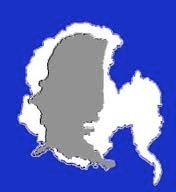 It takes into account the so-called isostatic rise of the land surface that would occur after the weight of the ice was removed, and a sea level rise by an amount equal to the volume of the water locked up as ice. Antarctica compared in size with the USA. Antarctica is a fascinating continent. I'm always amazed when I see the archaeological prehistory from there. To think of a green Antarctic covered with trees and animals is mind boggling. Just a note about the map "Antarctica compared in size with the USA". It seems that only Florida, Alaska and New England would be free from ice.